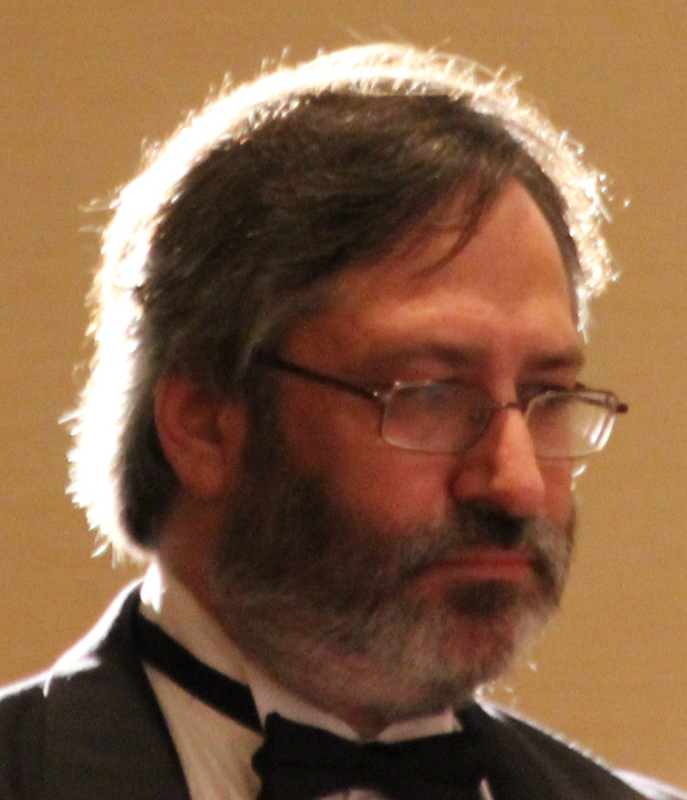 Since I realize I jumped the gun and moved Walter Jon Williams’s birthday up a couple of weeks with my Birthday Review published earlier today, here is someone who was actually born on October 2. Edward Wellen was born on October 2, 1919 and died on January 15, 2011. Most of Wellen’s publications were short stories and he was more active in the mystery field than in science fiction, although he began publishing in the genre in 1952 with the non-fact article “Origins of Galactic Slang” in Galaxy. In 1971 he published his only science fiction novel. 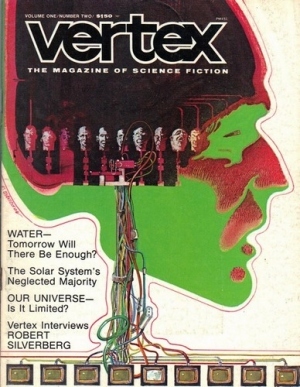 “Barbarossa” was initially published in the June 1973 issue of Vertex: The Magazine of Science Fiction, edited by Donald J. Pfell. It was reprinted in the anthology Fantastic World War II in 1990, edited by Frank McSherry, Jr.
Wellen briefly explores the fate of a Nazi U-boat commander who refused to surrender to the Allies when Admiral Doenitz gave the order following Hitler’s death at the end of World War II. Using every trick he could think of, Helmut Niemans managed to escape the Allies, jettisoning enough flotsam from the ship that it was believed to be lost. Instead, he spent the next twenty-odd years as a pirate, picking up crew as he could to replace the Germans who died, tried to escape, or mutiny. Less a story than a vignette showing how Niemens manages to continue adding to his crew, with a flashback to explain his history, Wellen fails to show how the ship manages to remain functional, although ever-decreasingly, through the years. He also doesn’t discuss how Niemens is able to avoid any sort of detection. Instead, the Commander is shown as a sad Captain Nemo, awaiting the revival of the Nazi ideology while he crews his boat with a rag-tag collection of slaves who don’t believe in his vision. Wellen also ignores the fourteen crewmen who were aboard the boat during World War II, and doesn’t clarify where their loyalties lie — whether to Niemens, the Reich, or simply remaining alive in their tight and smelly quarters. Reprint reviewed in the anthology Fantastic World War II, edited by Frnak McSherry, Jr., Baen Books, 1990.